To some, the term “garden party” conjures images of a haughty affair – one where well-heeled, seersucker-clad guests meander through a topiary labyrinth or a gaggle of biddies nibble crustless sandwiches under a canopy of tea roses. Too stiff? Too stuffy? Not for you? Don’t give up on a garden party! It doesn’t have to be a stodgy soiree. A modern garden party is any convivial gathering, formal or casual, where guests enjoy food and drink in a garden setting. So throw out your assumptions, bend the rules and kick up your heels on your own patch of lawn for a modern day garden party that’s fun for all. While often thought of as a prestigious event, today’s garden party doesn’t have to be stuffy, starched affair. Garden parties certainly didn’t start out that way. Rooted in 16th century Europe, garden parties were a way for fashionable families to receive guests at their weekend country estates without strict formality. Softly lit with lanterns at dusk, a country garden provided a lush, magical setting for an intimate dinner. Marie Antoinette famously fêted her closest companions at the Petit Trianon in this very way. Even if your garden is less than palatial, you can riff off the Renaissance in your garden party setting. Whether your garden is a modest suburban backyard, cottage potager, rolling country hills, or a big-city rooftop, make the most of the outdoor setting by adding a few special touches. For example, bring the indoors out – a long communal table flanked by pillowed benches makes comfortable, casual seating while white linens and twinkling lanterns turn on the charm. Mixed china, unfussy flatware and footed glasses create inviting settings with sparkling tea lights and loosely arranged bouquets of your favorite flowers as festive accents. There are three ways to approach food for a garden party. You can serve an assortment of finger foods and hors d’oeuvre, have a sit-down coursed meal, or a combination of the two. Whichever you decide, the following loose guidelines will take some stress out of preparation. The majority of food served should be able to be made (at least partially) ahead of time. 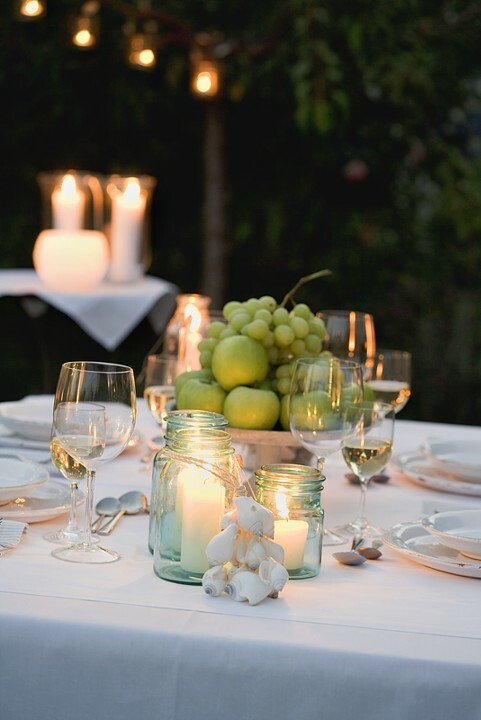 A garden party is all about mingling, playing games and enjoying the outdoor scenery not slaving away at a hot range or standing over a smoky grill. All dishes you choose should be able to be served just warm, at ambient temperature or chilled. This helps to ensure the laid-back feeling of a garden party. Guests can graze at will and this is especially helpful if you’re hosting a lot of people – the first guest’s food will be at correct eating temperature even after the last guest is served. If hosting a party and only serving small plates and finger foods, start with a few larger shared plates as your foundation such as a cheese plate, charcuterie tray or crudités. Lay out small bowls of shared snacks, like olives, black truffle popcorn or spiced nuts. Then build your menu out from there, adding as many dishes as you like based on number of guests. 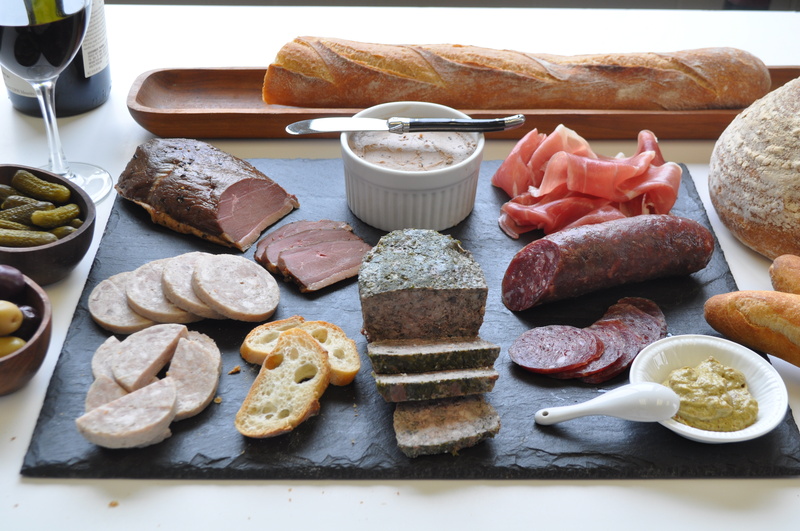 A good rule of thumb for small hors d’oeuvre is 6-8 pieces per person, per hour. Garden parties can be fun! In the warmer months, offer old-fashioned lawn games like croquet or horseshoes. Or clear a spot for our favorite French game – Pétanque. Don’t forget your garden party playlist. Choose music that adds to the festive ambiance but doesn’t overwhelm your guests (or your neighbors!). Finally, take lots of photos. The relaxed, convivial garden party atmosphere allows guests to be themselves and loosen up for the camera.